And the rooms at the Hotel Cortez keep filling up... 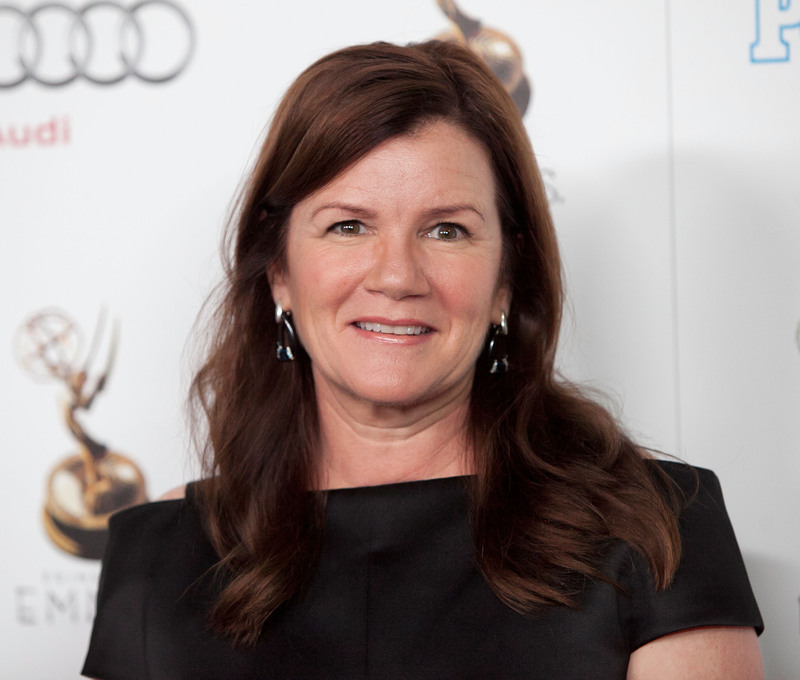 Yet another recurring American Horror Story player is coming, because has Mare Winningham has checked into the Hotel . That's right; Winningham, who was nominated for an Oscar for playing the eponymous folk rock singer in 1995's Georgia, is joining the cast of the horror anthology's fifth season. She'll be appearing alongside fellow AHS veterans Angela Bassett, Kathy Bates, Wes Bentley, Matt Bomer, Denis O'Hare, Sarah Paulson, Evan Peters, Lily Rabe, Emma Roberts, Chloë Sevigny, and Finn Wittrock. Peters in particular should be nervous about Winningham's return, given his previous storyline with the actress. This will be Winningham's third outing with the Ryan Murphy series; she previously guest starred as Pepper's horrible sister Rita in Season 4's Freak Show and, most memorably, as Kyle Spencer's abusive, incestuous mother Alicia in Season 3's Coven. The revelation of Kyle and Alicia's relationship was one of the creepiest aspects of that season — which is saying a lot when you're talking about a season that included tortured slaves, bleach enemas, and a woman blinding herself with garden shears. So the news that Winningham and Peters will be paired up once more for Hotel should make any AHS fan shiver with dread. Knowing that Mr. March "works closely" with the hotel's laundress clearly indicates that he'll also be on staff at the Cortez... but as what? A chef? A janitor? An entertainer? The fact that he "will be waiting" in a room, to me, seems to imply that he'll be a bellhop, one of the faces welcoming guests — and viewers — into the establishment. But whatever role Mr. March has to play at the hotel, the interactions between him and Winningham's laundress are sure to be a highlight of the season if their relationship is anywhere near as twisted as it was in Coven. American Horror Story: Hotel will premiere on Wednesday, Oct. 7.